In case you didn’t notice, we started posting recipes every three days instead of every Tuesday, Thursday, Saturday, in an effort to slow down, refocus, and create even higher quality recipes. It felt a little odd and unnatural at first, almost like we’d cut the engine from our plane and were all of the sudden coasting into the unknown. But with our highest priority on being quality over quantity, we feel like this is a step in the right direction. Plus, it means I have even more time to perfect blog recipes, dream up amazing bonus recipes, work on cookbooks, and more. 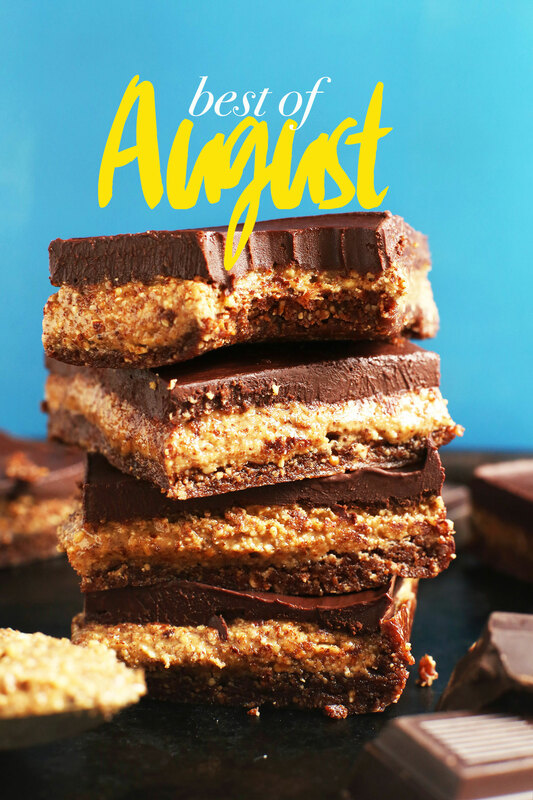 Which recipe was your favorite this month? I couldn’t stop eating the Almond Butter Cup Bars or the Mediterranean Bowl. Obviously. 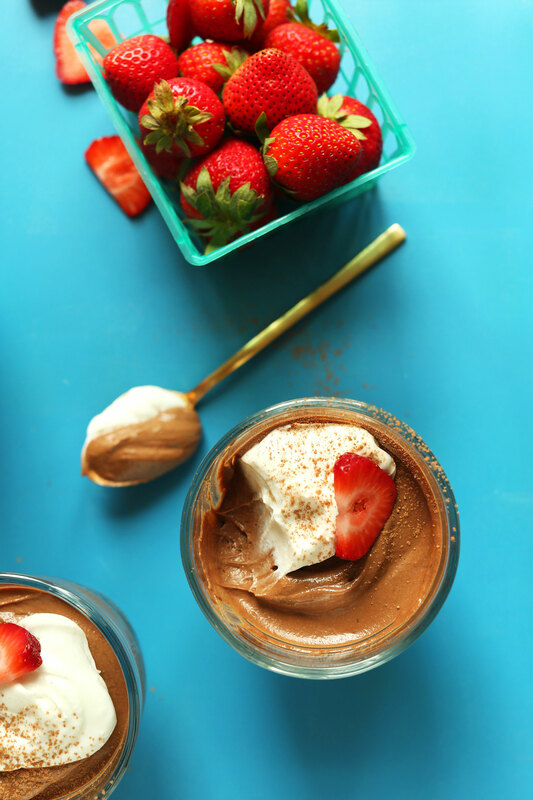 We sent out a bangin’ Bonus Recipe on August 1 for Chocolate Protein Pudding 2 Ways! Don’t forget to sign up for our email list to receive Minimalist Baker updates + a free, exclusive recipe to your inbox every month that won’t be shared anywhere else! Sign up here. We visited New York City for the first time EVER and fell in love. The restaurants, the buildings, the people, the vibe – I was swept up in the magic of it all. We can’t wait to go back soon. See what we got up to here and here. We also made a quick trip to Mountain View, California and did a cooking demo and shared about our cookbook at the Google Headquarters! (I know, GOOGLE.) It was super fun and we met a ton of cool people. Mostly though, we just fangirled the whole time. Lastly, we updated our About Page with a new photo and some new information about who we are, why we make the recipes we do, and where you can follow us outside of the blog. Go check it out! 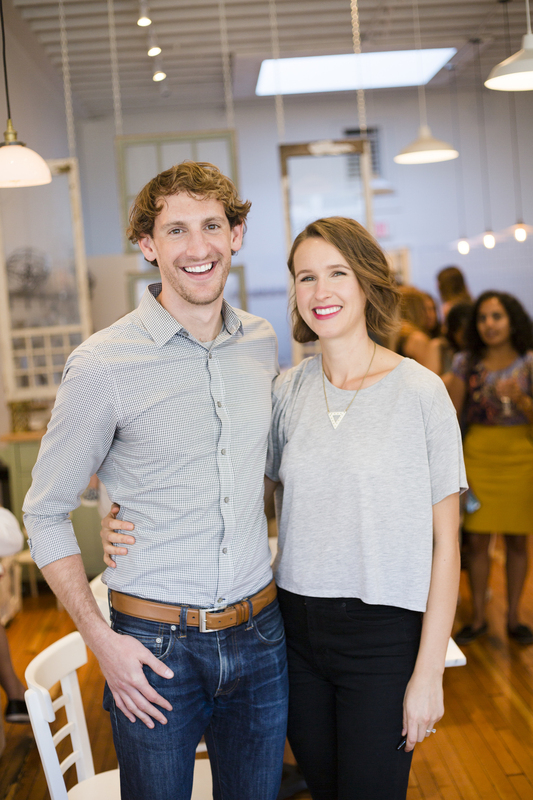 Cook – I only recently discovered Hot for Food, an adorable vegan couple with a seriously cool YouTube channel. Start with their Vegan Cauliflower “Wings” and never look back. Follow – Need a new Instagrammer to stalk? How about @sobeautifullyraw for breathtaking photos of vegan food? You’re welcome. Read – Want to sob like a baby and stay up ’til 1 a.m. reading the sweetest, saddest book of your life? Then don’t miss When Breath Becomes Air by Paul Kalanithi. The other book I devoured this month was Dr. Axe’s Eat Dirt, which dives deep into the world of the microbiome. Axe makes a case for the many ways our gut health has likely been compromised and what we can do to fix it (with simple diet and lifestyle changes). Yes, please. Watch – We’ve started re-watching Parks and Recreation on Netflix this month and I have to say, it’s even better the second time. Where all my Andy Dwyer fans at? Stalk – There seems to be mixed thoughts on Instagram’s new Stories function. I, for one, am a fan. For me, it means one less app to manage! I liked Snapchat, but if I can centralize what I’m sharing in one place I’m all for it. At first it felt like “one more thing” to worry about, but then I remembered I can choose how much or how little I share on social media, which is why most of my stories will be primarily what I’m doing in the kitchen. What are your thoughts? Are you ‘yay’ or ‘nay’ on Instagram stories? Listen – My new favorite quirky pop song. And, this one is purely for dancing. Here’s a sneak peek of what we’re craving in September: Simple, protein-packed, plant-based goodness. Stay tuned for SO many delicious recipes to come! I love this monthly recap! I just pinned almost all of the recipes and ordered your book. I love your blog and food! You should think about doing a Canadian tour :) I must have missed those almond bars, but, ohmygosh. They look TO DIE FOR! Definitely making those asap. Parks and Rec, woohoo! I love picking up on jokes that I missed the first time around! 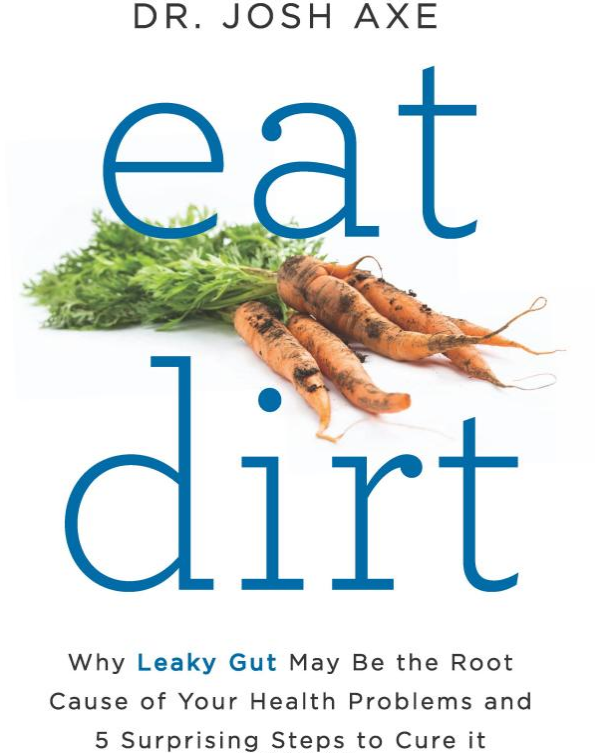 Very interested in “Eat Dirt”… I feel like leaky gut has become an internet conversation lately. Adding to the reading list! The chickpea burgers, avocado toast, coconut red curry and almond butter chocolate bars are my favorites! I can’t wait to try ALL of them! Hard to decide which one I like the best.. 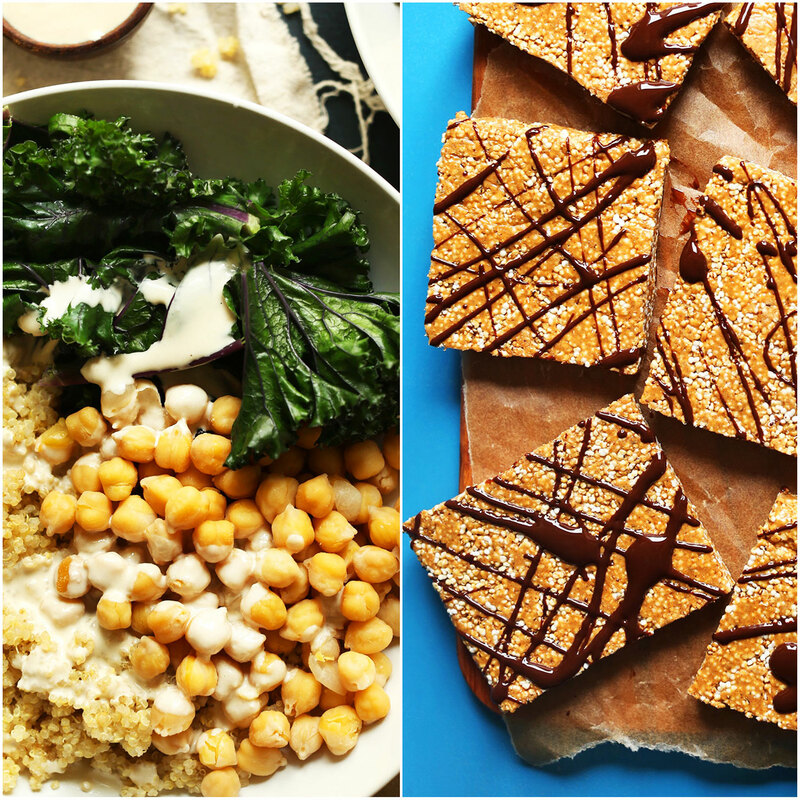 The tahini because it’s the easiest to make and most versatile, but the bars are amazing! Hot For Food is one of the best YT vegan recipe channels. Agreed! They’re killing it. I can’t believe I JUST found them. xoxo! I loved this wrap up post! Can we talk about the fact you went to GOOGLE? That is so awesome! Also: Parks and Rec is the best show in the world (fact). Haha, right?! We geeked out the whole time! Hi Dana, great post, as always. I just wanted to let you know that I’ve been spending a lot of time reading various cookbooks and food blogs lately and I have noticed one thing: you write the most succinct, complete and easy-to-follow instructions I have ever seen. Add that to the fact that your recipes are always super awesome and you are my absolute favorite food blogger! :) Thank you and you keep up the great work! Oh, and definitely yes to Instagram stories. So kind! Thanks for the sweet words, Chris!! Definitely into the Instagram stories 100%! I’m not a Snapchat user so to see you in action over that media platform is great! Keep it all up girl! So good! Good to hear! I’m all in on Instagram as well! Can I just say I am in love with your blog and cookbook (that tiramisu cake tho). I use it several times a week, it totally reinvigorated my love for vegan cooking. Bless you and keep up the good work! Tahini sauce is da best.. used to buy them on store until i found this recipe here.. Anyhow, lovely pic of the two of you. And ughhh, I keep reading how our hospitals and pharmaceutical medical complexes are getting rich off unhealthy people…..I’m not going to become vegan overnight but the transition has been good thus far. The focus is now becoming plant-based diet!